Learn Guitar from an experienced examiner of the Registry of Guitar Tutors (London College of Music). 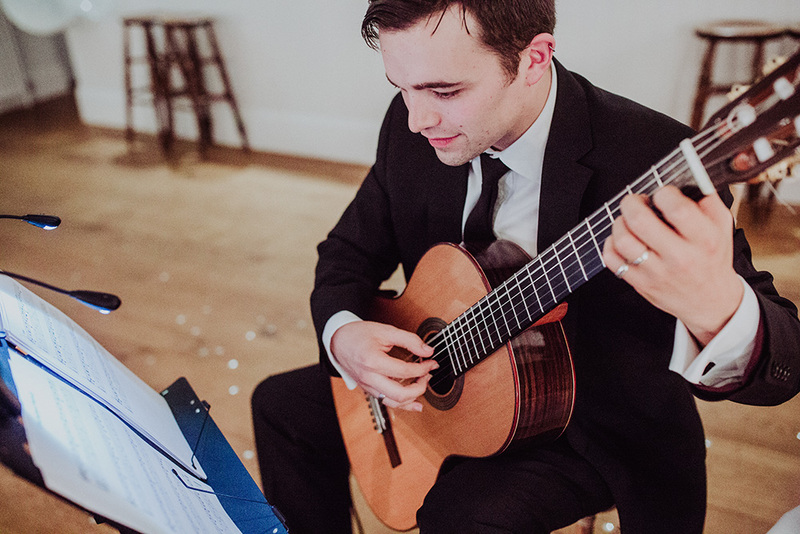 Learn about hiring Harrison to play guitar at your wedding, public event or other function. Private guitar lessons from a professional musician and LCM@RGT examiner. Lessons are tailored to the individual whether it be for fun or working towards exams. Classical, Acoustic, Electric, Bass and Ukulele are all taught to any level. Classical or contemporary background music from a professional classical guitarist. 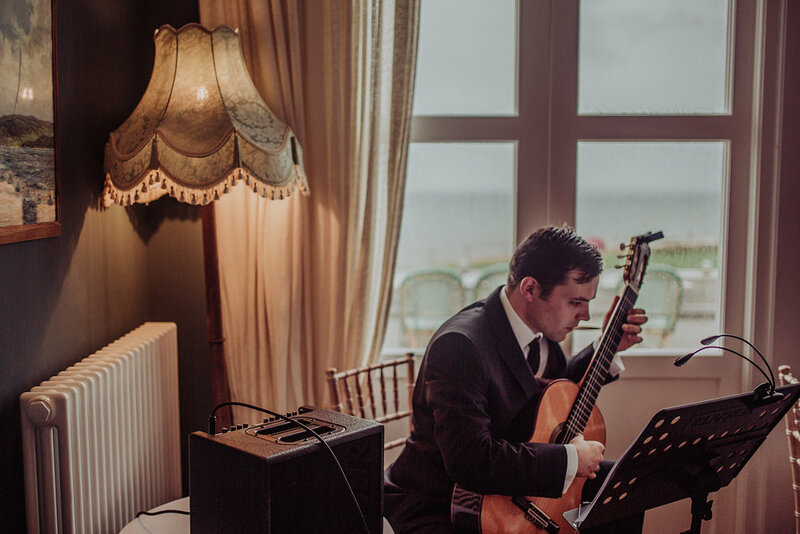 Harrison uses some of the worlds finest instruments through a professional sound system to deliver the perfect accompaniment to your day. Bespoke requests considered for a personal touch. Videos range from performance pieces with sheet music available to download to free advice for musicians of all levels..
Harrison is constantly arranging new pieces for acoustic guitar. These unique arrangements are available to watch on his youtube channel and the sheet music is available to purchase from the downloads page. Learn guitar from Harrison Via the 'Skype' video messaging service. Lessons are planned in advance and all necessary music is sent via email to get all the benefits of a one to one private lesson in your own home.